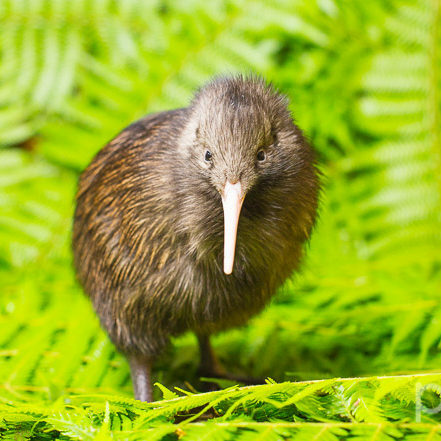 The Otorohanga Kiwi House is an ideal family outing – and the best place in New Zealand to see a kiwi! Enjoy close-up viewing of our national bird, the Kiwi, in specialised nocturnal enclosures. It’s a truly authentic New Zealand nature experience in the heart of the North Island – ideal for a family outing and suitable for all ages. Best of all, every cent of your entry price goes back to helping the Otorohanga Kiwi House do its Kiwi conservation work. The world-famous Waitomo Glowworm Caves, Black Water Rafting and cave eco-tours are a 15-minute drive away and it’s just 2 minutes to Otorohanga’s main street. The Kiwi House & Native Bird Park is owned and operated by the Otorohanga Zoological Society Inc. – a non-profit organisation dedicated since 1971 to the conservation of New Zealand’s native wildlife through education, display and breeding programs. Check the Kiwi House website for “Meet the Keeper” talks throughout each day, plus videos of our wildlife stars!